It’s Easter Weekend and for those who aren’t traveling to visit family there are still a few events to check out. There are some Easter Egg Rolls (no, not the food) and some events for dog lovers! Check them out below! Juxtaposing story-teaching, participation, humor, and image curation, artist Scott Erickson walks us through the very personal and universal conversation about the death of a dream and the overwhelming voice of Giving Up in our lives. “Say Yes: A Liturgy of Not Giving Up on Yourself” is a multi-sensory experience that reveals this moment not as an ending but as a sacred doorway into a much deeper invitation to our hopes, vocation, and our existence itself. Click here for more info. Now hosted at Vulcan Park, Bytes & Bites is a FREE Technology Solution Summit. At this event, you'll discover the latest in cloud, security, and everything tech from industry experts, while enjoying tech demos, live music by Billy Gant, lots of giveaways, Jim 'N Nick's BBQ, Steel City Pops, and more! This year’s keynote speaker is Theresa Payton, the first female White House CIO! Local Artists will have Kitty Cat portraits available to sell to help raise money for KKH&R NEW facility. Free to the public. Light refreshments will also be served. Come help support this great organization! Shop local and enjoy your neighborhood restaurants and shops in Forest Park! Restaurants will have specials, shops and galleries will be open late (5-8 pm), catch the shows you may miss during the day, shop for gifts while enjoying a refreshment. Enjoy the social scene of Forest Park after hours. Don’t miss the Last Big Hurrah! at Naked Art Gallery before they close their doors for the last time. Head to the Birmingham Improv Theatre to see this merry band of comics bring some laughs to the stage! Ugly Baby always amazes us with their witty and fast paced improv comedy! This is a great night out for a group of friends and there will be drinks available for the 21+ crowd! Start your Saturday off right at Pepper Place! Bring your kids, your dog, or even your cat in a backpack (yes we own one) and support local makers and artists! Be sure to check out the great shops and restaurants of Pepper Place while you are there! The weather is supposed to be incredible, so don’t miss one of the prettiest Spring weekends we will have! Hand in Paw’s 10th Annual Mutt Strut: Dog-Friendly 5K & 1 Mile Fun Run will take place on Saturday, April 20, 2019 at UAB Campus Green! Join in for a day full of dogs, energetic races, local vendors, prizes, food trucks and more, all while supporting a great cause! Hop on over to the Mountain Brook Chamber's Easter Egg Roll at the grassy field in front of the Emmet O'Neal Library! Be sure to B.Y.O.B (Bring Your Own Basket) and join in the fun! Note: this event is best for younger kids ages 0-5. 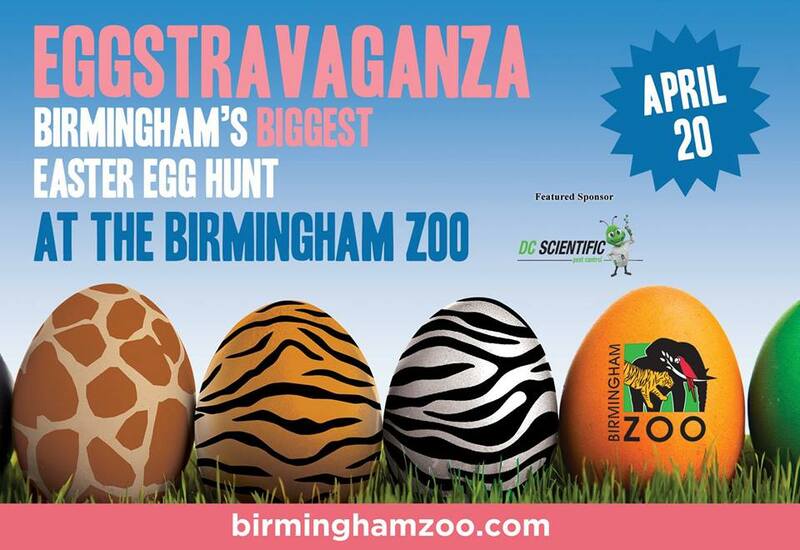 The time has come to celebrate Easter at the Birmingham Zoo with an “Eggstravaganza”! Hop on over to Birmingham’s biggest Easter Egg Hunt during this rain or shine event that is sure to be fun for the whole family. There’s an egg hunt for the kids AND one for the adults as well! Come find some eggs and win some prizes! 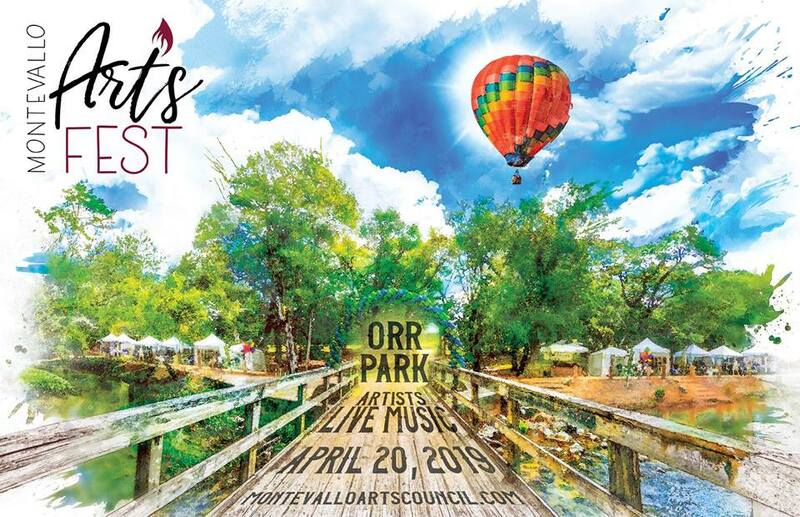 Just down the road, you can celebrate the 13th annual Montevallo Arts Fest in Orr Park on Saturday, April 20 from 10 a.m. to 5 p.m. In connection with the Forte Festival, this family-friendly arts show will have something for everyone to enjoy. Approximately 60 artists will line the park to display and sell their work ranging from fine arts to fine craft works. In addition to works for sale, there will be artists on hand to demonstrate their artwork throughout the day. Children will have the opportunity to make a piece of art at no cost in the kid’s area. Also, for the young and young at heart, Carl Carrier will be creating balloon animals. There will also be food and live music to enjoy! From marigolds and dia de los muertos to picking the right flower and color to express exactly how you feel about a loved one. 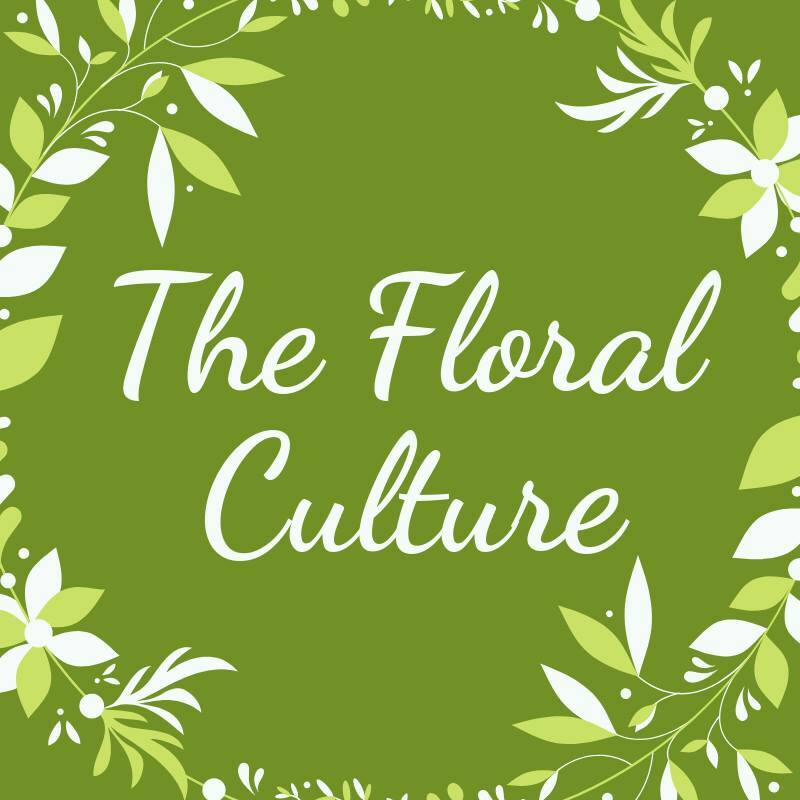 Join The Friends of Birmingham Botanical Gardens as they encourage a love for plants, gardens, and the environment to blossom by celebrating flowers and the cultural ties to them at the 22nd annual Earth Day Celebration. The free event will promote healthy communities, sustainable living and human wellness through educational dialogue, informational displays and outdoor activities. Exhibitors representing organizations advocating for strengthened community bonds, environmental awareness, and community education. Join in for the second Annual Battle of the Bands, presented by Mason Music. Area bands from middle and high school will perform and compete for a $1,000 cash prize. Family friendly and supported by nearby merchants, the event is a great way to enjoy music, encourage young musicians and show community spirit!